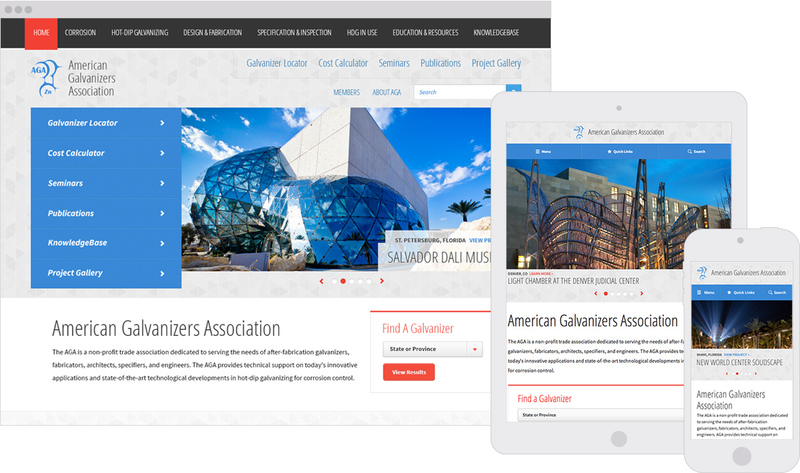 The American Galvanizers Association, a growing member-based trade organization, selected us to redesign their website. American Galvanizers Association (AGA) is a non-profit trade association dedicated to serving the needs of after-fabrication galvanizers, fabricators, architects, specifiers, and engineers. 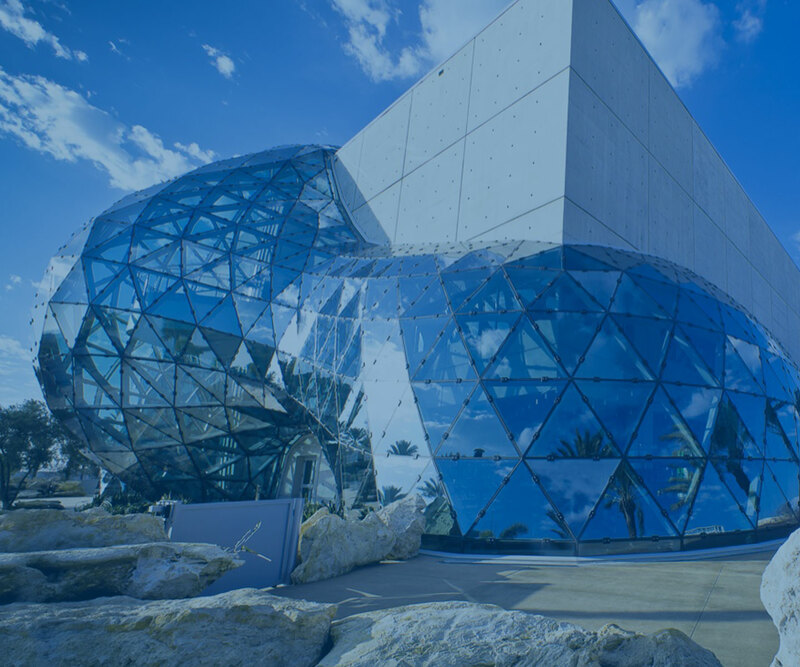 The AGA provides technical support on today's innovative applications and state-of-the-art technological developments in hot-dip galvanizing for corrosion control. Over the years they built a very large information-rich ExpressionEngine website drawing valuable traffic and attention, however it was in need of a major restructure, redesign, and rebuild. The project began with a comprehensive content audit followed by a series of discovery workshops to identify goals, creative direction, and features. We set to work defining an information architecture to house an enormous amount of pages, articles, publications, events, training, and other features. Collaboratively, we refined the information architecture to form a content strategy that reflected the needs of their organization. Following this, we crafted responsive user interface wireframes for key areas of the site and refined them until approved. These wireframes set the stage for the visual design phase of the project. We designed several visual looks for the website and revised until a creative direction was approved. We pursued this creative direction and designed all the remaining pages and features from the wireframes. The website build was managed by our partners at eecoder who built the site using future-friendly responsive design techniques. This allows the site to dynamically flex and provide users with the best experience, no matter what device they are on (e.g., Desktop, laptop, tablet, phone, etc). Behind the scenes, the site is powered by ExpressionEngine and includes several hundred pages of excellent galvanizing-related content, an interactive galvanizer locator map, a robust member's section, knowledgebase and more.